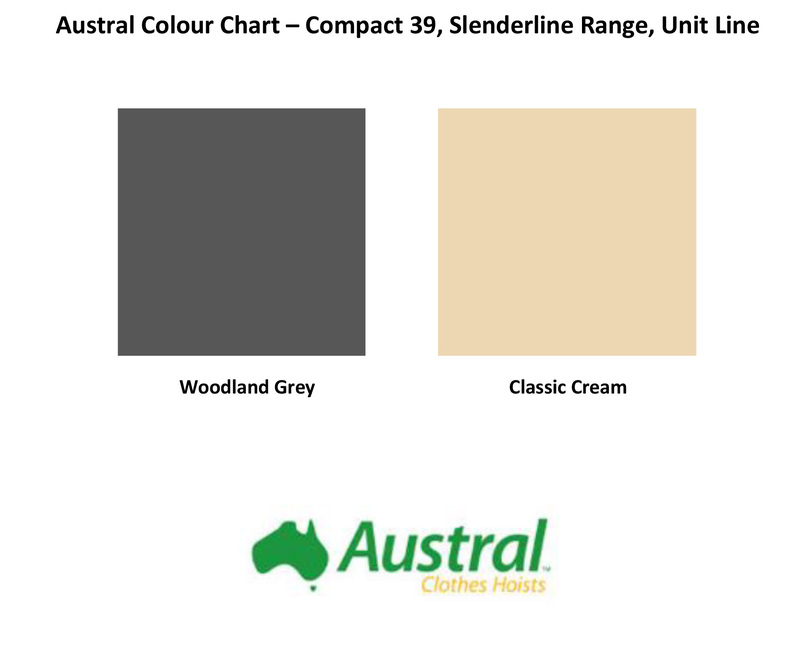 The Austral Unit Line’s creative design is aimed at those properties who still wish to air dry their clothes however do not have the space for a regular sized clothesline. Only needing a recommended wall space of 1.6m, these Unit lines are great for positioning between windows where other clothesline installation would not be possible. While having a limited width, this line still manages to hold your regular items of clothing and towels with ease. This clothesline is only available as wall mounted. Available in Woodland Grey and Classic Cream.